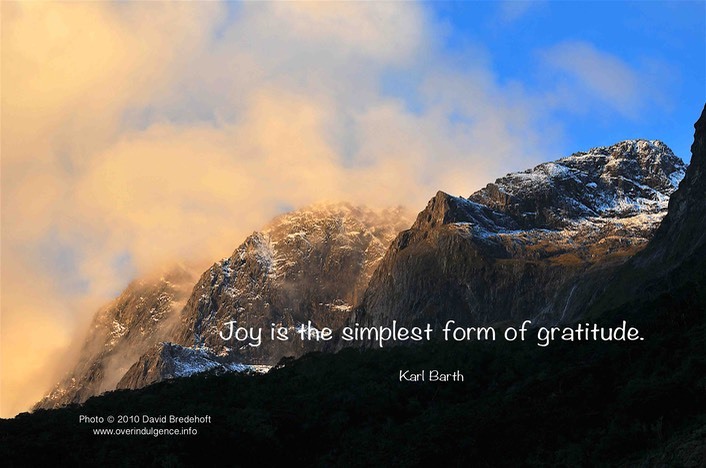 I think that the noted theologian Karl Barth got it right when he wrote, “ Joy is the simplest form of gratitude.” My fellow researcher Mary Slinger and I established that the lack of joy and ungratefulness is connected to childhood overindulgence. But why do some children grow up to be grateful and happy and others do not? To test this we asked 466 participants to answer128 questions consisting of demographic data and seven psychological scales. Conversely, if individuals are not overindulged as a children, they are more likely to delay gratification, to not be materialistic, to feel grateful, and to be happy. 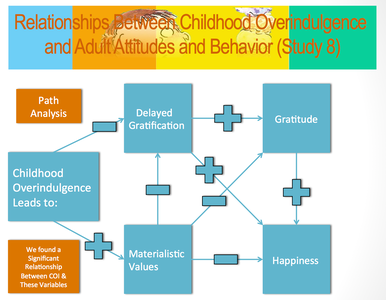 More specifically, we found significant differences in gratitude between those that were overindulged as children, and those that were not (see table 2). 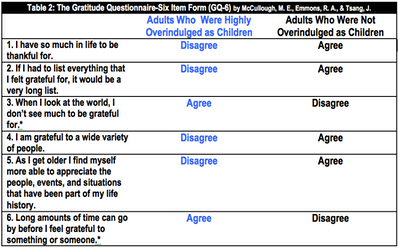 Participants who were not overindulged as children had a lot in life to be thankful for. I believe as a result of not being overindulged they learned to appreciate the people in their lives and the sacrifices that they made for them. I believe that they learned the true value of “things" and what it means to earn them. I believe they felt grateful for the abundance in their lives and for the people who have contributed to it, as a result of not being overindulged. 2. Teach your children to say “Thank You”. 4. Encourage your children to reflect on the people in their lives and what they have done for them. Photos and graphics by David Bredehoft, quotes from BrainyQuote.com.